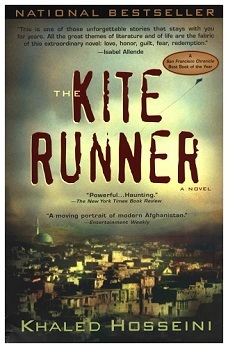 Khaled Hosseini’s debut in fiction, The Kite Runner is a poignant expose of the cruelty of Afghanistan in modern times. The plot is about Amir and his childhood friend Hassan who is the son of his father’s servant. Amir has an uncanny ability to predict where a kite would land. Hassan and his father are members of Afghanistan’s despised Hazara minority. On the day of the annual kite-fighting tournament something happens that will tear the two boys apart. The Kite Runner’s storyline takes us through the fall of Afghanistan’s royalty, the Soviet occupation, the refugee exodus to Pakistan and the United States, and the rise of the Taliban. The novel has sold over 7 million copies in the United States alone. It has been generally received for its emotional history of a country divided by conflict. The main controversy lies in the depiction of the totalitarianism, with some concluding that Hosseini is too extreme in describing the Taliban.